A Gold Coast Airport Marathon press release. JRN will be on-hand at GCAM as part of its official broadcast commentary crew. 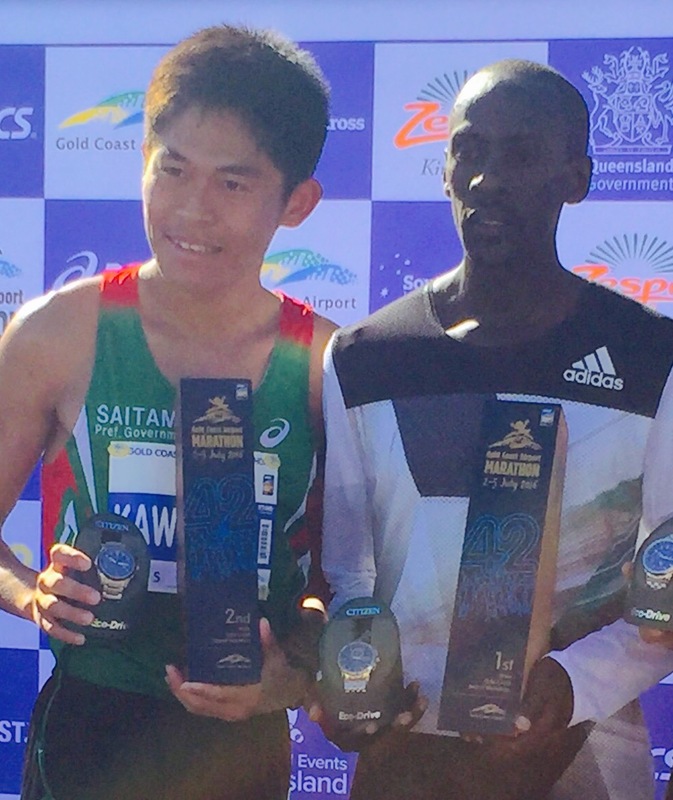 Two previous winners Yuki Kawauchi and Risa Takenaka will lead a strong Japanese charge at the 39th Gold Coast Airport Marathon on Sunday 2 July. A flat and fast course will provide the stage for this IAAF Road Race Gold Label event with one of the strongest elite fields ever assembled to fight out the 42.195km race. One of the most popular runners in world athletics Kawauchi, 30, will return to the scene of his epic runner up finish last year behind Kenneth Mungara of Kenya. The two will do battle once again with Kawauchi hoping he can win this coveted race once again as he did in 2013. 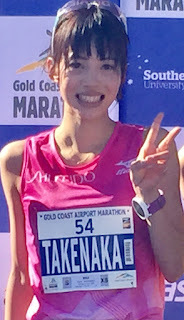 Takenaka had a breakout year in 2015 with a win on the Gold Coast and setting her personal best of 2:28:09 in Nagoya. The 27-year-old will be attempting to continue the stranglehold that Japanese runners have had on the women’s race with a total of 14 winners including the past five. In the men’s race, Japan will have a very strong contingent of runners with Kawauchi joined by sub-2:13 marathon runners Chiharu Takada, Takuya Noguchi, Ryo Hashimoto, Shoya Osaki and Takuya Suzuki. Takada placed fourth in last year’s Gold Coast Airport Marathon in 2:10:43 so will have the benefit of experience, while Noguchi has recorded a personal best of 2:11:04 already this year in Tokyo so will come with strong form. In the women’s race, Takenaka will be joined by Misaki Kato, Azusa Nojiri, Sakie Ishibashi, Hirono Shintate and Azusa Nojiri, with Kato a strong chance of a podium finish with a personal best of 2:31:04 set last year in Osaka. As part of a sister marathon arrangement, two placegetters at last year’s Kobe Marathon in Japan were invited to run in the Gold Coast Airport Marathon with Shintate taking up the opportunity in the women’s race and Yuki Yagi in the men’s race.